"AAA wants to thank LCI for the great job on our campaign. The results were terrific & working with LCI was a pleasure. Thank you. " "Wow, you & your team are amazing! I wanted to thank you for the incredible PR job you did for the Museum & it was a pleasure working with you to boot. The reviews are in & they are as radiant & brilliant as the new building." "I cannot say enough good things about my experience working with the team at LCI. You did a fabulous job, your commitment & enthusiasm for our project was exemplary. The personal & professional connection we feel for you will continue. I am not sure we ever could have entrusted our "baby," this two-part television series for PBS, to anyone else." "THANK YOU! The presentation went so well, my CEO and General Manager kept the congratulations going. I couldn't have done it without you!" "Thank you all at LCI for your hard work on our behalf. We are so pleased with all of the opportunities that resulted from your hard work." "LCI is one of our most valued partners. We appreciate the expertise and approach to the business that LCI brings us, especially given their significant knowledge and expertise in media, social media and public relations. Our team knows we’re working with an excellent agency." "Thanks so much for conducting the media training session. All the participants thought the experience was extremely helpful and enjoyed your engaging process (and sparkling personality, of course!). I thought everyone did extremely well, which really helps us do our job better." 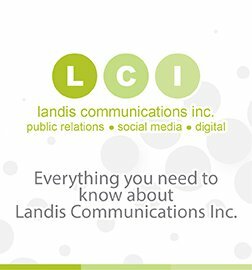 "From the media's standpoint, you can count on the team at Landis Communications Inc. to deliver what you want: news, news and more news. They truly understand the media's needs, yet are creative enough to get positive results for their clients in the process. Their style is professional and fun -- and that makes your job much easier." "Since working with LCI, and combined with the legislative change and marketing program implemented concurrently, our new Bay Area accounts per month have increased by more than 100% and overall revenue per month has doubled. Our web hits are way up, and call volume also has been way up. It is such good news and Landis Communications Inc. deserves credit for helping us reach this great success." "The staff at LCI has been incredibly great to work with. They are hard-working, diligent in getting results and are responsive to my needs as a client." "Night Owl Wines hired Landis Communications Inc. to manage the PR component of its launch. The enthusiastic and dedicated Landis team brought passion to the launch of these wines. Their follow-up and attention to detail were impeccable. The outcome included good coverage across the country." "Hiring LCI to facilitate a PR boost program for DeVry University’s Northern California locations proved to be a tremendously smart decision. The MVP-level account team was strategic and methodic in seeking out positive exposure opportunities with targeted media. The team’s intent to truly understand DeVry’s core educational values was clear. The resulting placements in top-tier market outlets definitely exceeded our expectations." "Yesterday, a television reporter repeatedly tried to put inflammatory comments in my mouth. After the third time, he gave up, irritated but with a hint of grudging admiration. And for the thousandth time, I thanked David Landis for media training that still works 20 years later." "Landis Communications Inc. helped make Emirates’ San Francisco service launch a fantastic success. The LCI team offered big ideas and executed a series of memorable, newsworthy events that allowed media to experience the Emirates brand over the life of the campaign. By thinking beyond the traditional press conference, LCI helped us build and sustain strong media and consumer awareness." "We have worked with public relations firms in the past, but Landis Communications Inc. is head and shoulders above the rest." "I can't thank LCI enough for all your hard work on the inauguration of the Guardian Scholars program for Heald College San Francisco. From the initial meeting that gave birth to this PR opportunity, through to the press conference, LCI secured incredible coverage. Yesterday was a banner day for Heald. I'm so appreciative of all your hard work." "Landis Communications was the public relations agency for the magnificent Hearts in San Francisco project that brought 130 artist-designed hearts to the streets of San Francisco. We were so thrilled with the media coverage, creative ideas and strategic guidance they provided for the project. I recommend them with all my heart." "I always knew that LCI was good, but when the Hearts in San Francisco project was on the front page of the Chronicle, I knew they were GREAT. [The coverage they garnered for us was] above the fold." "Let me express one more time how great LCI’s efforts have been. It's been a real pleasure partnering with your team." "LCI helped us launch our MPEG-4 platform at the National Association of Broadcasters conference and the event was a tremendous success. The buzz was terrific and we had more than 30 media appointments in just 3 days. We were lucky to have LCI on-site to handle the onslaught!" -- Kent Libbey, iVAST, Inc.
"LCI is doing a great job, I am very glad to have brought you on board. We feel we are in good hands to accomplish our goals." "All of us here at KSWB Fox 5 would like to thank you for being part of our morning show. All of us working together really made the segment something special - guests like your clients help keep our show so popular and exciting. Please stay in contact and let us know if you have any other future story ideas." "The LCI team provided exceptional strategic council, attention to detail and relationship-building skills. They swiftly put a plan into action to communicate our message to the right media and community contacts, bringing innovative and effective tactics to the table. Their dedication and commitment exceeds the norm, and they bring talent and creativity to every aspect of their work." "Magnatune chose to work with LCI because they clearly articulated achievable PR activities that would generate interest. LCI was grounded in the real and the doable, within a sane budget. PR isn't just a job for the LCI team. They're dedicated because they want to make it work, because they think it's a worthy goal. No cynicism here: hard work because they like it." "A great big thank you to you and your team for the PR 101 training with the NatureBridge wide leadership on Monday. We've just completed two great days of training and we poured through all of the evaluations and the PR 101 session was highly rated. The entire room was energized and the whole team is excited about working with LCI. " "Landis Communications Inc. provided The North Face with strategic, yet cost-effective counsel and a results-driven campaign that helped us reach our business goals while maximizing positive awareness of our brand. Working with them is a pleasure." "It's wonderful working with the team at Landis Communications Inc. Because of their results-driven approach and creative solutions, I have complete faith in them, which makes my job much easier! LCI has exceeded every goal for every deliverable - and made it fun in the process. Thank you!" "In a one-day media and presentation training, the team at Landis Communications Inc. (LCI) helped our executive staff perfect their skills in an exponential manner. I was truly amazed at how the LCI trainers could provide cogent and specific guidance that helped our staff improve so significantly in a single session. Plus, it was fun! I recommend them highly." “LCI has done a phenomenal job for OnLok. We are very, very happy with the work that your team has done and that has been noticed from the very top of the organization. The initiatives that the LCI team have undertaken make sure that we get down deeper and make better connections within the organization and with the community at large.” - Roy Alojado, OnLok, Inc.
"Landis Communications Inc. (LCI) developed the PR strategy and key messaging for OnLok, Inc. to build a broader awareness, reach new markets and establish themselves as an organization that accepts all cultures. Since working with Landis Communications Inc., the client's brand recognition has increased substantially. They excel at clearly defining how the coverage they receive works toward the strategic goals that were set up at the beginning of the project." - Roy Alojado, OnLok, Inc.
"Excellent job, everyone! Wow what a day. Very happy about all the great press for us and the summit! Thanks to all!" "Thank you all for the hard work and focus that was put on the media attention today! I truly was a great day! If I wore a hat I would tip it in your honor today." "Whatever LCI said they would do, they did – exceeding expectations and generating strategic results." "Working with Landis Communications Inc. for more than a decade has been a pleasure, due to their professionalism and innate ability to garner positive media results." "Landis Communications Inc. helped us successfully through a challenging period of growth for the organization. Not only did centers in six counties merge into one local affiliate, but Planned Parenthood centers nationwide were under siege, with bombings occurring regularly on the East Coast. LCI helped navigate Planned Parenthood Golden Gate expertly through these times, creating and implementing an integrated crisis communications plan. They quickly capitalized on relevant news of the day, proactively pitching appropriate editors and reporters with the local Planned Parenthood news angle. In addition, LCI was extremely effective in helping promote an over-arching, positive image of the organization’s multi-faceted health service offerings. LCI has my highest recommendation." "Thank you all so very much for conducting an outstanding media training session for the Port of San Francisco. Our participants were very pleased with your service. LCI has given us valuable tools and techniques to work with the media in the future." "It's been wonderful working with LCI. Their proactive approach led to successful media placements for remithome the very first week they started pitching for us. It's refreshing to find a team that's attuned and responsive to our needs Thank you and keep up the great work!" "Working with Landis Communications Inc. (LCI) throughout the San Francisco Ballet’s 75th Anniversary season was a tremendous benefit to our organization. We had the advantage of their insider knowledge and strategic communications counsel, as well as ongoing outreach to top-tier national media throughout the year. Most importantly, they encouraged us to explore numerous new media outlets, which became a stepping stone to increased presence with significant online communities. I recommend LCI highly." "It has been my pleasure to work with Landis Communications Inc. (LCI) since 1998. David Landis and his team are thoroughly professional, productive and truly pleasant.We hired LCI to handle public relations for three consecutive San Francisco Crab Festivals, among other projects. His team garnered an impressive amount of publicity in local, regional and national print and electronic media-exactly what we had asked for. I recommend them highly." "The San Francisco Symphony has worked successfully with Landis Communications Inc. (LCI) for more than 10 years. LCI helped promote the re-opening of Davies Symphony Hall 10 years ago and most recently, helped launch SFSKids.com -- our new online music education resource for children. In the meantime, David Landis has served in a volunteer capacity advising the symphony on marketing and communications issues in addition to conducting media training sessions with key executives. We consider Landis Communications a vital part of our communications team. I admire their counsel as well as their "big picture, out-of-the-box" thinking. To a person, LCI is strategic, creative, hardworking, gets results and leaves no stone unturned. Landis Communications Inc. is the place to go for public relations." "One of SFJAZZ’s biggest announcements was handled by professionals who understand the media, but also understand our organization. LCI delivered far more than the results we anticipated. Their strategic partnership has greatly exceeded our expectations." "I want to thank LCI for the wonderfully successful re-launch of the expanded SFMOMA MuseumStore. LCI brought the perfect blend of retail and non-profit expertise to direct and accommodate the many needs of our hybrid operation--not to mention the grace and diplomacy that warmed up and won the confidence of our hybrid team of personalities. The team was terrifically enthusiastic and consummately professional throughout the project. Despite short timelines and internationally scattered resources, they got the results we were looking for. Most of all, LCI's insightful strategic direction were both a comfort and invaluable resource. I look forward to the opportunity to work with LCI again. All of us at SFMOMA wish to thank you all for the terrific and successful opening event last night. The turnout was spectacular and we are so pleased that everything went so smoothly. Your hard work was key in making it a success!" "The Landis Communications team truly has a gift for finding the most efficient, effective and creative means to help clients reach their goals and achieve measurable results. The LCI media training especially was a real eye-opener for our executives. The information was extremely relevant, entertainingly presented and interactive. Best of all, the feedback afterward was 100% positive." "LCI did a great job with our publicity this year. The revenues from the SPCA's Bark & Whine Ball I believe will be the greatest ever. Our patrons raised over $ 88,000, almost $17,000 more than last year. We are going to be able to save quite a few more dogs this year. All of the publicity greatly helped our numbers - thank you!" "Thoroughly enjoyed seeing that coverage bounce from coast to coast...and from across the pond! Congratulations all!" "How do I describe LCI? Professionalism, integrity, thoughtful and credible counsel -- but most of all -- results!" "Landis Communications Inc. is the hero in our sales office! Their digital marketing program accounts for more than 70% of our leads." "LCI's competitive analysis is comprehensive, impressive and insightful. I have almost 20 years of marketing and sales experience and have never seen a report like LCI's from a PR firm. I commend you and your team." "Your work is so terrific; I can't tell you how much I appreciate having the benefit of your expertise -- and well worth the fee (which I also appreciate!). There has been nothing but raves from the staff and board. The reviews are in: 'LCI is a hit!' "
"I can honestly say that LCI has out-performed other PR agencies with which I have worked during my professional career. It's always a pleasure to work with people who are 'can do' and creative. If they're also good humored (and effective), it's a perfect package. The team at LCI fit this criteria to a 'T.' They take the initiative to offer help and make public relations problem solving fun. What a pleasure to work with!" "Landis Communications Inc. exceeded our expectations in terms of press coverage of our first-ever city store in Bethesda, Maryland. From securing an advance story in the Washington Post to arranging for important local media and influencers to attend our preview event and everything in-between, they were "on it" each step of the way. 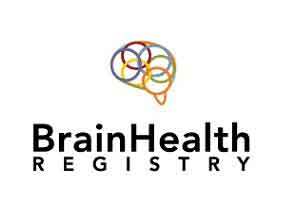 I highly recommend them as an agency partner." "Kudos to the LCI team for their persistence in working with our partners and meeting expectations!"